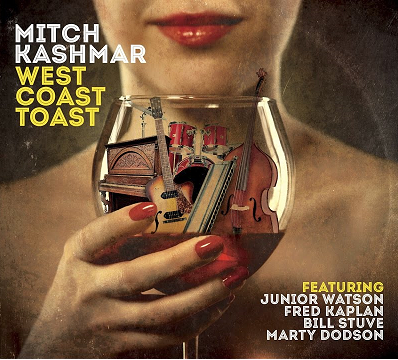 West Coast Toast represents the triumphant return to the studio for the consummate blues musician Mitch Kashmar. It also signals the latest triumph from Delta Groove Music. This is their third release of 2016 and continues a marvelous trend, following on the heels of their stunning spring offering from John Long and the tremendous collaboration between Big Jon Atkinson and Bob Corritore. Mitch Kashmar’s West Coast Toast is a masterpiece. However, unlike the previous two Delta Groove efforts, as the name implies, West Coast Toast is imbibed with the swinging harmonica sounds first heard in California by George “Harmonica” Smith upon his arrival at these sunny shores. Smith’s protégés include Al Blake (Hollywood Fats Band), Rod Piazza (The Mighty Flyers) and Kim Wilson (The Fabulous Thunderbirds) as well as the central driving force and inspiration of Mitch Kashmar’s music, William Clarke. It is the swinging, jazz inflected harmonica, with fat almost horn section like tones that Smith, an Arkansas native and alumni of the Muddy Waters band, brought to California in the late 60’s and early 70’s. He inspired a specific sound and a musical revolution in the blues that lives on in West Coast Toast. This triumphant recording for Kashmar is decades in the making as the Santa Barbara, California, native has been stunning audiences since the mid-80’s while leading his popular band, The Pontiax. Kashmar and the band spoke through a variety of blues dialects which featured Kashmar’s signature harp sounds and singing that often featured his own original tunes. He made three very well received albums for Delta Grove Music. They include 2005’s Nickels and Dimes, 2006’s Wake Up and Worry as well as 2008’s Live at Labatt. The label then re-issued the one and only Pontiax release, 100 Miles To Go from the late 80’s on CD in 2010. Kashmar has since hooked up with the most recent incarnation of the seminal Southern California roots music band, War. He has relocated to Portland, Oregon, where he wrote the new songs that would be at the heart of West Coast Toast. Four of these are absolutely stunning instrumentals. These selections feature Kashamr’s harp playing in different settings and moods. He toggles between acoustic and amplified diatonic and his signature chromatic harp sounds. These originals sit side by side with some carefully selected covers which are given the Kashmar treatment. Willie Dixon’s Too Many Cooks, Rudy Toomes’ Young Girl, Billy Boy Arnold’s Don’t Stay Out All Night and Lowell Fulson’s Love Grows Cold are highlights. The inclusion of Sonny Boy 1, John Lee Williamson’s Alcohol Blues is a deft choice. The musicianship on West Coast Toast is nothing short of exhilarating. Watson and Kaplan are given lots of room to shine. Both are experienced masters at backing up harp players. The various moods and textures these artists bring to the table is a real treat. 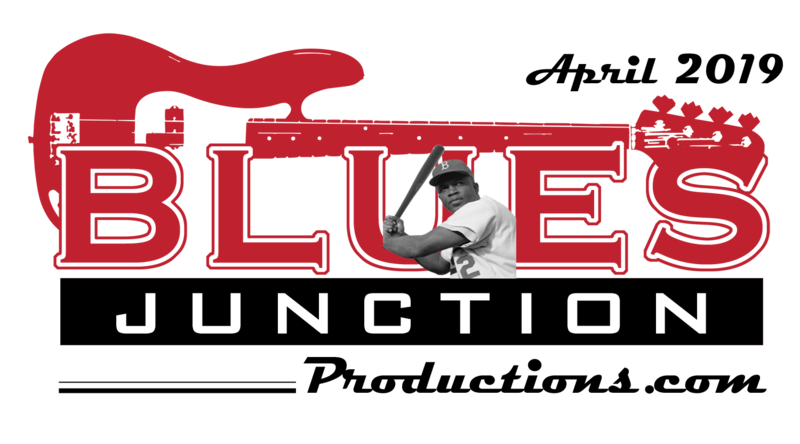 The rhythm section of Stuve and Dodson really knows how to swing. The focus is put squarely on the musicians and they grab that aural spotlight and run with it. These five masters of the form work together as if they have been doing this for decades…which they have. It is as if each player’s pedigree, experience and training was made for this album. The album’s liner notes mention the record was made in the memory of recently departed west coast blues greats Lynwood Slim, Johnny Dyer, Richard Innes, Finis Tasby and others. However, it is the spirit of William Clark, who we lost twenty years ago this year, that is deeply infused in the playing and approach to this music employed by Kashmar and his band mates. This toast goes out to Mitch Kashmar and company for making an album that sits comfortably next to the finest recordings ever made on the west coast or anywhere else for that matter. West Coast Toast receives my highest recommendation and is an obvious contender for BLUES JUNCTION album of the year.